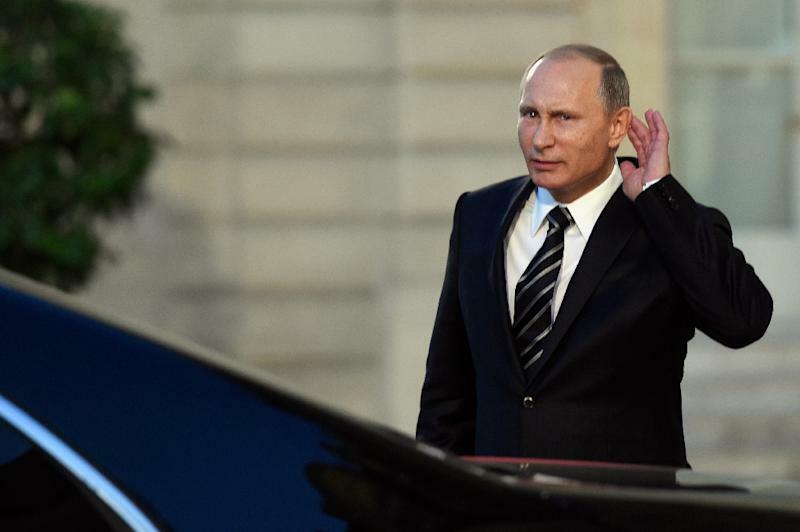 Baghdad (AFP) - Russian President Vladimir Putin's bullish entry into the Syrian conflict has worked wonders for his popularity in neighbouring Iraq, where some await "Hajji Putin" like a saviour. 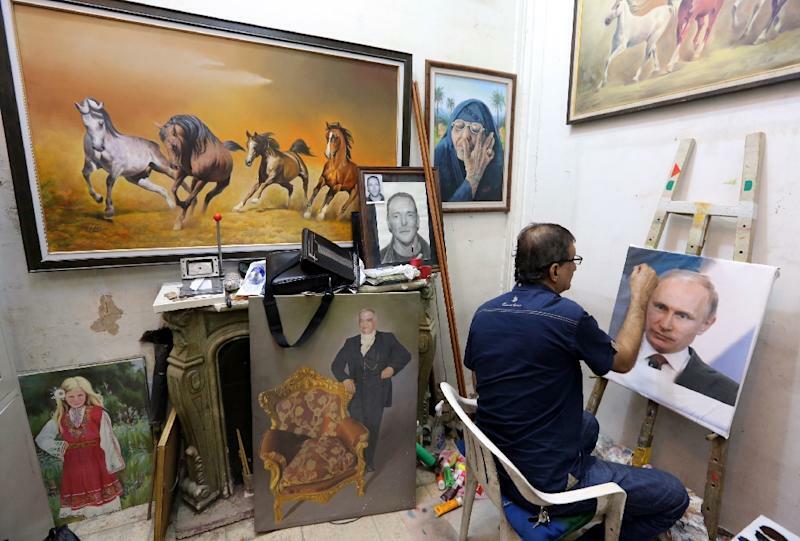 Sitting at his easel in his central Baghdad workshop, painter Mohammed Karim Nihaya touches up a portrait of Putin he copied from the Internet. "I have been waiting for Russia to get involved in the fight against Daesh," he says, referring to the Islamic State group that last year declared a "caliphate" straddling Iraq and Syria. "They get results. The United States and its allies on the other hand have been bombing for a year and achieved nothing," the bespectacled artist says. The US-led coalition has had some successes in helping Iraqi forces reconquer territory lost to IS in 2014 but overall the campaign has also suffered setbacks. Russian warplanes began bombing targets in Syria on September 30 and on Wednesday Moscow ramped up its air war, unleashing cruise missiles from the Caspian Sea. Some of them crossed Iraqi airspace and many here, especially among the Shiite majority, would welcome a bit of Russia's firepower on home soil as a much-awaited game-changer. Only a fraction of Russian air strikes in Syria may have been destined for IS but Mohammed, a young jobless man outside the painter's shop, does not let statistics cloud his enthusiasm. "We don't want the international coalition, we want only Russia and we will slaughter a sheep to welcome them," he says. Some Iraqis see Moscow -- which has staunchly backed Damascus and Tehran in recent years -- as a more natural ally than the United States, which occupied the country for eight years. 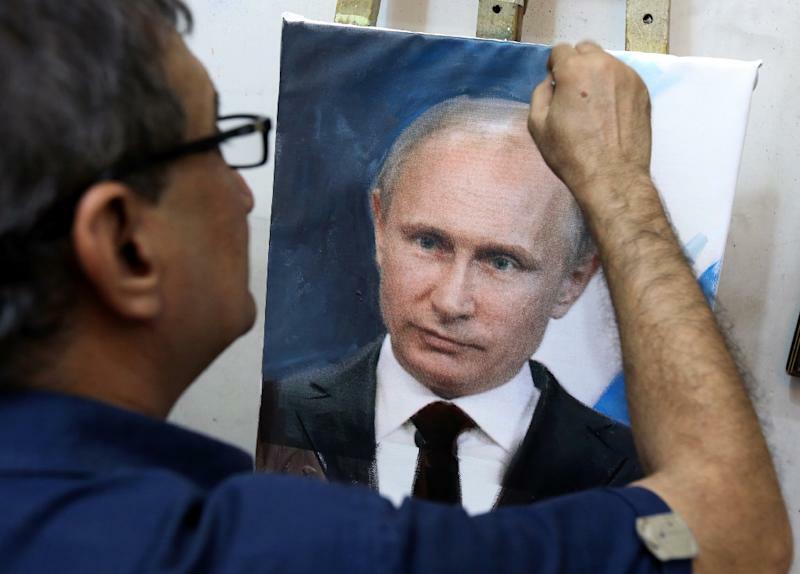 Putin's patented leadership brand of bare-chested antics and cold determination is a also hit in Iraq, where the cult of the strong leader is alive and well 12 years after Saddam Hussein's ouster. On social media, many have already made him an honorary citizen, with one widely circulated joke even detecting phonetic evidence of Iraqi antecedents in the Russian president's name. It goes like this: Putin's father was an Iraqi grocer from the Shiite south, near Nasiriyah, who introduced figs ("tin" in Arabic) to local markets and thus became known as "Abu Tin". After World War II, he moved to the Soviet Union, married "a blonde Russian girl" and named their son Abdulamir. That proved a bit of a mouthful for locals who Russianised it into Vladimir. The apocryphal nature of the story appears lost on some Facebook users, who have embraced "Putin the Shiite" and even replaced their profile pictures with a portrait of the Russian strongman. "We should give Putin Iraqi and Syrian citizenship because he loves us more than our own politicians," says Mohammed al-Bahadli, a student walking on a street in the Shiite shrine city of Najaf. "Muslims bomb us because we are Rafidha," says Saad Abdullah, who owns a convenience store in Najaf, employing a term which means "rejectionists" and is used by IS to refer to Shiites. "Meanwhile Putin, who is an Orthodox man, is defending us.... Maybe he really is a Shiite and we didn't know about it," he says before flashing a huge smile. Taxi driver Ali al-Rammahi says Putin is the only reason he hasn't already joined the thousands of Iraqis fleeing the country to knock on Europe's doors. "I thank Putin because he convinced me to stay in Iraq... Hajji Putin is better than Hussein Obama," he says, using the title given to Muslims who have performed the pilgrimage to Mecca. "Putinmania" has also gripped some of Iraq's politicians, creating some confusion over Baghdad's stance on a Russian intervention. Hakim al-Zamili, the head of parliament's defence committee and a leader in a Shiite militia that once fought US forces, has suggested Baghdad has decided to request Russian air strikes. Prime Minister Haider al-Abadi, who is supported by the West, has been more equivocal but has not ruled out enlisting Russia's help. Moscow recently increased its footprint in Iraq by joining a coordination cell set up in Baghdad to pool intelligence on IS fighters with non-coalition members Syria and Iran.